The course is at The Links, Whitley Bay. The course is 2000m (2K) long. This has been accurately measured by us with a professional measuring wheel. The course is run on a mixture of tarmac paths and grass. Some sections of the course may accumulate mud, leaves and puddles after rain. Marshals will be located along the course. The course will be marshalled so that juniors will be in sight of a marshal at all times. Please remember that the parkrun uses shared paths. 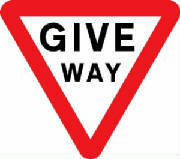 Please give way to other park users. This won't slow you down and will help ensure the overall success of the event. Please, wherever possible walk, jog, cycle or use public transport when attending the event. If you do have to drive, please consider car-sharing to reduce our impact on both the environment and other park users. Please also watch out for other park users when arriving and leaving. Parking may be limited so try to arrive early. Whilst parkrun fully accepts its duty of care and will do everything it can to minimise risk of injury and harm to all participants whilst at parkrun events, it is parent/guardians who ultimately have responsibility for the welfare of their children. It is not mandatory for a parent/guardian to participate in junior parkruns, but children under the age of 11 must be accompanied to/from the event by a responsible adult, and the responsible adult must remain in attendance for the duration of the event. Junior events are open and inclusive. Disabled people may participate wherever it is safe for them to do so. The event team can provide disabled participants with course information in order that the participant (or their parent/guardian) can make an informed decision about their safe participation. Whilst more competitive children can use junior parkruns to test themselves against their own time, and against others, participation should ultimately be for fun, and we urge all parents/guardians/volunteers not to put children under undue pressure to perform. Participants should be able to complete (run, jog, walk) 2km. Health advice about running can be found at the excellent Runners' Medical Resource website (although this external website focuses on preparation for a race and does not describe parkrun events). junior parkruns are running, jogging and walking events, and the use of children’s scooters, balance bikes, trikes or cycles is prohibited. Slower runners are encouraged to seed themselves, by starting towards the back of the group especially if an adult is accompanying them. junior parkruns are timed events. Only those aged between 4-14 years old and on foot (eg not those in a buggy or on the shoulders of an adult) can cross the finish line and be recorded in the results list. Exceptions to this rule are subject to the discretion of the Event and/or Run Director. Examples include those over 14 with special educational needs (SEN) or those with a registered disability, for whom social interaction and physical activity may be difficult but important. A strict ‘no barcode no result’ policy will be enforced. Buggies are allowed, subject to course conditions, but only if the adult pushing the buggy is accompanying a junior runner. Adults with buggies are urged to position themselves appropriately for the safety and enjoyment of all. Dogs or other pets are not allowed to take part in junior parkruns. When running, take care should be taken on uneven surfaces and participants should watch out for other park users, animals, vehicles, park maintenance work, trees, posts and other obstacles around the course. All parkrunners should be considerate to the park and all other park users at all times. Spectators should keep clear of participants on the course and keep control of any children and dogs. Participants should take care near roads and car parks, congregate away from the cars and be careful if driving to/from the event. Photography or filming is likely to take place at junior parkrun events. Please see our photos page for more details. Lyme Disease is a bacterial infection spread to humans by infected ticks. Consider protecting yourself by wearing repellent when at parkrun events in grassy or wooded areas. See lymediseaseuk.com for further details. This is a free event and all participants attend and run at their own risk. Please consider helping the event by volunteering - this event survives only because of your generosity. Please visit the volunteer page for more information. The course is a sea view point to point course. Its starts just north of the Rendezvous Café. It heads north along the lower promenade with stunning views of St Marys lighthouse, before turning back on itself and heading back along the lower promenade for a 100 metres before heading uphill onto the links. The course continues on the links heading south, following the path closest to the coast. The course heads downhill at the skate park before coming back uphill on the left hand side. The course then is straight heading south, on the path closest to the coastline towards the War Memorial. The course follows the path in curve, heading directly to the War Memorial. You will pass the War Memorial on the right hand side and continue straight ahead towards the skate park dip. After the dip you take the path to the right and continue on towards the finish. You will then finish on the grassed area to the right of the path. There is plenty of car parking at Rendezvous café, Eastbourne Gardens, Spanish City and Whitely Bay playhouse, local charges may apply. Public toilets are located beside the Rendezvous Café. There are plenty cafes within walking distance of the start and finish area. Waves Leisure centre is located within walking distance of the finish as are the amusements. The beautiful beaches are there to enjoy and St Marys Lighthouse is about a mile away and is easily accessible on foot or by car. The run starts on the lower promenade to the left of the Rendezvous café on the coast. This is in the mid Links area. The event can be accessed by Metro and is a 15 minute walk away from the metro station in Whitley Bay. There are regular bus services from Newcastle and the surrounding areas into Whitley Bay and several bus stops in the location of the course. Please see the Arriva Bus website and the Nexus website for more information. The course start is on the lower promenade to the left of the Rendezvous café on the coast. This is in the mid Links area. There is plenty of car parking at Rendezvous café, Eastbourne Gardens, Spanish City and Whitely Bay playhouse, local charges may apply. The start is located on the lower promenade, directly at the bottom of A1148 Monkseaton Drive. The A193 is the Links Road and runs adjacent to the course. The A1148 can be accessed from A192 which can be accessed from the A19. The A1058 runs direct from Newcastle to the coast. Upon reaching the coast head left towards Whitley Bay. Every week we grab a post parkrun coffee in Venetian Ices, 5 - 7 Marine Avenue, Whitley Bay, NE26 1LX - please come and join us!